Last year the New Zealand Environmental Protection Authority (EPA) chose not to accept the assessment of the International Agency for Research on Cancer (IARC) that the herbicide glyphosate (the active ingredient in “Roundup”) was a “probable carcinogen”. Instead, the EPA commissioned its own report which found that glyphosate is “unlikely to be genotoxic or carcinogenic”, a significant departure from IARC’s conclusion. 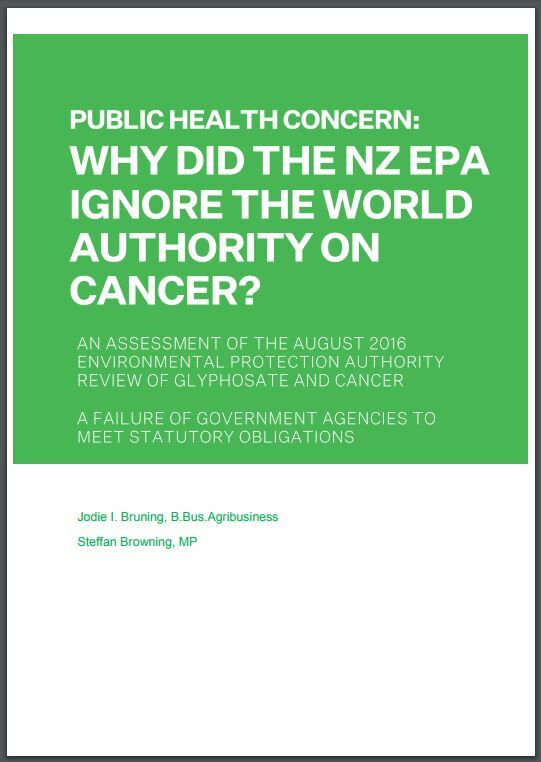 An investigation by the Green MP Stefan Browning released two weeks ago raises serious questions about the process followed by the EPA. The controversy has been given fresh life by comments made by the Chief Scientist for the Authority, Dr Jacqueline Rowarth. Her attempt to justify what happened gives a muddled account of risk assessment, and misrepresents her own Authority’s publication. In this blog, we explain why it is important to understand the issues raised by the EPA pronouncements on glyphosate and the potential implications for chemical safety more generally. This is now particularly important as the EPA is about to undertake an expanded review of hazardous substances in New Zealand. 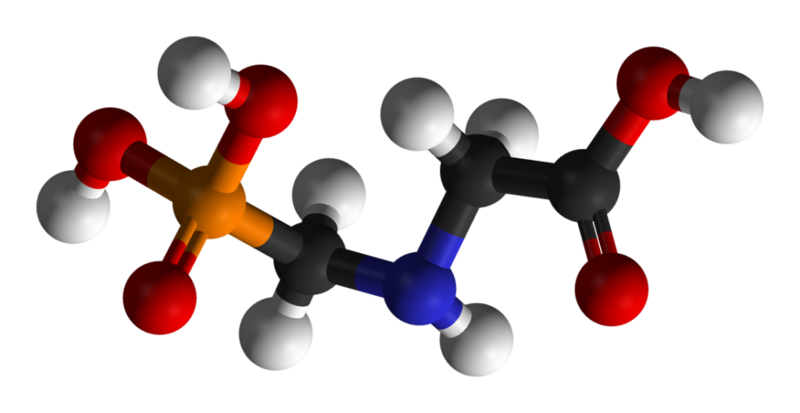 Glyphosate is an organophosphorus compound and the most widely used herbicide in the world. In New Zealand, glyphosate is found in approximately 90 products, of which the best known is “Roundup”, produced by Monsanto. 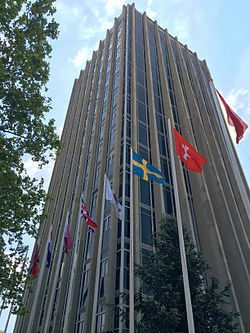 Headquarters for the International Agency of Research on Cancer in Lyons, France. Wikimedia/Rystheguy. In 2015, the International Agency for Research on Cancer (IARC) gathered 17 scientists from 11 countries to assess the carcinogenicity of the pesticides tetrachlorvinphos, parathion, malathion, diazinon, and glyphosate. The IARC Working Group concluded that, for glyphosate, there was “limited evidence” of carcinogenicity in humans, based on limited epidemiological evidence for a positive association for non-Hodgkin lymphoma, and “sufficient evidence” in experimental animals for the carcinogenicity of glyphosate. The working group also considered potential mechanisms for induction of cancers and concluded there is strong evidence that glyphosate is genotoxic and can act to induce oxidative stress, based on studies in humans in vitro and studies in experimental animals [1,2]. Taking the human, animal and mechanistic data together, the Working Group concluded that glyphosate is “probably carcinogenic to humans”. IARC has been conducting assessments of carcinogenicity for more than 40 years – the glyphosate assessment was published as Monograph 112 in the series. The purpose is to establish whether agents are cancer hazards i.e. whether they have the capacity to cause cancer, using a standard grading system (1 = carcinogenic to humans, 2A = probably carcinogenic, 2B = possibly carcinogenic, 3 = not classifiable, and 4 = probably not carcinogenic). The criteria for each grade are highly specified; the selection of experts is based on skill mix and research experience relevant to the agent being assessed; there are explicit processes to manage possible conflicts of interest amongst those participating in the assessment; and the rules of evidence are clear – assessments are based on publications in peer-reviewed journals and publicly available government documents on the circumstances and extent of human exposures . The New Zealand Environmental Protection Authority (EPA) decided not to accept the IARC assessment on glyphosate, and instead commissioned its own report. This was written by Dr Wayne Temple, a toxicologist and formerly Director of the National Poisons Centre, and published in August 2016 . The aim of the EPA review was the same as the IARC assessment, to review the evidence for carcinogenicity in humans, but the conclusion was different – “glyphosate is unlikely to be genotoxic or carcinogenic to humans”. Green Party-commissioned investigation into the EPA review. In July 2017, the Green Party released the findings of an investigation into the EPA actions on glyphosate, and raised the following concerns: 1) there was no evident justification for rejecting the IARC assessment; 2) the EPA review was scientifically deficient in several respects*; 3) the Ministry for Primary Industries apparently had a strong hand in shaping the report; 4) the EPA received unspecified inputs to the review from Monsanto; and 5) the EPA ignored the Ministry of Health which notified the Authority it could not support the process that was being followed . Dr Jacqueline Rowarth, Chief Scientist at the EPA, has appeared on radio and in the press to answer the questions raised by the Green Party report. In our view, her defence of the EPA is unconvincing. Why was the IARC report set aside? Because, according to Dr Rowarth, IARC is a hazard identification authority, while EPA is a regulatory body . But the EPA report set out to do exactly what the IARC assessment did – an assessment of the hazard associated with glyphosate. The fact that EPA is a regulatory body is irrelevant to the question. What rules of evidence were applied to the EPA assessment? Dr Rowarth argues that the EPA needs to cast the net more widely in carrying out its assessment, beyond the evidence accepted by IARC, including exposures, usage and implications of regulation, but the basis for doing this is unclear. “We do go to all sources because remember there is an economic implication within the use of glyphosate” and “We need to be able to consider everything otherwise we are not taking the net benefit approach” says Dr Rowarth . These wider issues are relevant to policy, but certainly have no bearing on the scientific assessment of whether a chemical has the ability to cause cancer or not. Why were the findings different? Rowarth says “We agree with them [IARC] – at high exposures and dosages, cancer could occur but we don’t have these high exposures and dosages in New Zealand” . So, does the EPA truly agree with the IARC assessment, that glyphosate can cause cancer? Not according to the document written by Dr Temple, which concludes the chemical is “unlikely to be carcinogenic” and says nothing about exposures and dosages that apply in New Zealand. On what basis has Dr Rowarth concluded that certain exposures are safe (i.e., do not increase cancer risk)? We are not convinced our current knowledge on the carcinogenic effects of glyphosate in humans allows any conclusions to be drawn on safe levels. And where do the figures on glyphosate exposures in the New Zealand population that Dr Rowarth refers to come from? Are these available for scrutiny? We are not aware of any reports that are available in the public realm. Was the information on exposure and doses provided by Monsanto? If so, were the figures verified by EPA and how? the inappropriate application of “net benefit” thinking to the front end of risk assessment and management. The glyphosate muddle needs to be sorted because it is necessary that New Zealanders have confidence in the decisions taken by government agencies to identify and regulate hazardous substances. Declarations of interest: AW has been a member of numerous IARC working parties, including most recently the committee that reviewed the work of the Environment and Radiation Section of the Agency (2017); JD is a member of the steering committee of the International Agricultural Cohort Consortium 2007 – present; AtM was a member of the IARC working group on the evaluation of carcinogenic risk to humans, Volume 112: evaluation of five organophosphate insecticides and herbicides (which included glyphosate); DMcL was a member of the IARC working group on the evaluation of carcinogenic risk to humans, Volume 117: evaluation of the carcinogenicity of pentachlorophenol and some related compounds; JP was the US Representative, Science Council, IARC, 2001-2006; Vice-Chair, Science Council, IARC, 2004; Chair, Science Council, IARC, 2005 – 2006.
International Agency for Research on Cancer. 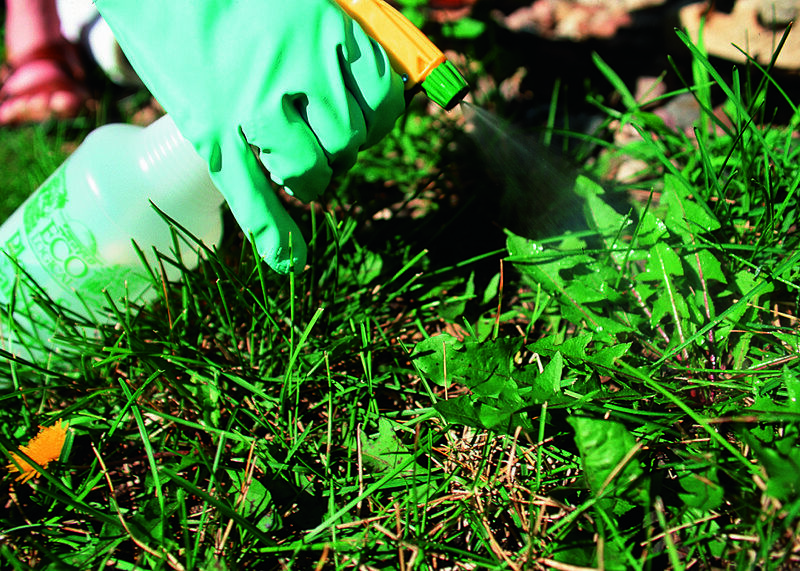 Some organophosphate insecticides and herbicides: tetrachlorvinphos, parathion, malathion, diazinon and glyphosate. Lyon, France: IARC, 2015. Guyton KZ, Loomis D, Grosse Y, et al. Carcinogenicity of tetrachlorvinphos, parathion, malathion, diazinon, and glyphosate. Lancet Oncology 2015; 16(5): 490-1. Pearce N, Blair A, Vineis P, et al. IARC Monographs: 40 Years of Evaluating Carcinogenic Hazards to Humans. Environmental Health Perspectives 2015; 123(6): 507-14. No dialogue with nature should be conducted using poisons. This situation is concerning. Any Report by IARC should probably be given extremely careful consideration by government agencies before being dismissed – given the track record for IARC being correct in the long term is very strong. In the domain I know most about (the risks of cancer from tobacco smoking and exposure to passive smoking) – the scientific assessments by IARC seem to have been of very high quality (and I got an inside view of the process as part of an IARC review on smokefree settings). Perhaps there is a case for an independent inquiry into how NZ’s EPA has assessed this weed killer eg, by the Royal Society of NZ. The EPA commissioned an expert to review ALL the available information. The review was not of glyphosate per se; it was, as the headline makes clear, a review of the information available: A Review of the Evidence Relating to Glyphosate and Carcinogenicity. That review included the IARC report. The report aligns with the American Cancer Society that the IARC report identifies hazards, whereas the regulatory authorities identify risks, and then the regulations required to keep people safe. The European Food Safety Authority has stated that when used as recommended, no link to cancer has been identified. Information on our website is clear: following the label instructions on all glyphosate products provides adequate protection for users. People should follow the use and safety instructions on all chemical product labels, as these are designed to reduce human exposure to the product and to protect the environment. If the label has been removed or damaged, you can search the manufacturer’s website to find the relevant safety information. I am not sure what Dr. Rowarth’s opening paragraph actually means. The EPA report is very clear in that it “discusses the relevant data on glyphosate, especially the more recent studies, and reviews the basis on which the IWG [IARC Working Group] classified it as a probable human carcinogen (Group 2A). This involves review of the quality of evidence for carcinogenicity in humans and experimental animals and the mechanistic arguments”. The IARC report covered all of the peer-reviewed and governmental literature to the time of submission. In other words, the purpose of the EPA report was exactly the same as that of IARC. And this is the way a regulatory agency should proceed, from hazard identification to risk assessment to regulation and policy. What is confusing is that Dr Rowarth is defending the EPA report on the basis that it was a risk assessment, which it clearly was not. What rules of evidence were applied to the EPA assessment? Does the EPA truly agree with the IARC assessment, that glyphosate can cause cancer? On what basis has Dr. Rowarth concluded that certain exposures are safe (i.e., do not increase cancer risk)? Where do the figures on glyphosate exposures in the New Zealand population to which Dr. Rowarth refers come from? Are these available for scrutiny? Yes, you are right, the final judgement about whether to use a chemical depends on weighing up the benefits and harms, including the number of people affected. But our question to the EPA is about something else. The first step in the process of risk assessment is determining whether an agent has the potential to cause harm. This is what the IARC monograph was concerned with, as was the EPA report. The only risk Rowarth was concerned with was risk to the operator and there is ample peer-reviewed data showing increased risks of chronic kidney disease in Sri Lanka and Central America agricultural workers. However there is no discussion on the increased incidence of at least 22 conditions, including the topical area of depression and suicide in NZ, just one example of the effects of developement neurotoxins (DNTs), of which glyphosate is but one. The very nature of glyphosate’s action as a herbicide is through the disruption of Shikimate pathway , a major source of several neuroprotective chemicals, serotonin, dopamine, melatonin and thyroid hormone, all involved in diseases like Autism, ADHD, depression, behavioral problems stemming from disruption of neural development and function from conception onwards. This leads to the major deficiency of Rowarth’s argument re cost/benefit; the direct and indirect effects of glyphosate create huge costs that are exported as social costs to health and education systems, environmental and personal costs; if these were factored in to the cost/benefit analysis glyphosate and many other pesticides would not see the light of day. In 2005 the cost of disorders of the brain across 28 European countries was E84 billion and E55 billion for dementia., including up to 8 fold increase in Autism Spectrum Disease in Scandinavia . ” Our system of evaluating scientific evidence and making decisions about environmental chemicals is broken” The TENDR Consensus Statement (Environmental Health Perspectives 124:A148-A119, 2016). The performance of the EPA and MPI would support this statement. I may follow this up later (I have other writing I want to get to! ), but one general thought for now: for good science communication criticism wants to be set in context. From my previous understanding about this, there are quite a few contextual things have been left out in the article. Dr Jacqueline Rowarth’s response (see Peter Griffin’s comment) notes some possible candidates. Others have been noted in replies to where this article has been shared elsewhere. Linking glyphosate to autism* is a wide-spread internet meme with no good support. There are claims linking autism to literally dozens of things, if not hundreds of things. These claims are at kindest wildly speculative, and founded on dubious “evidence”. — for which I believe there is no direct, sound, evidence for a link. As the common request goes: “citation please”. Sorry about this, but you need to back up claims! A general rule of thumb might be helpful here: if you hear that something is involved in a wide range of illnesses, it’s most likely a false claim as causes of illnesses tend to be specific. It’s common on some internet sites to list a long list of “possible” effects as if the more they list the worst the thing must be when in practice the more they list, the less likely their claim is. “One effect of the changes to the draft, reviewed by Reuters in a comparison with the published report, was the removal of multiple scientists’ conclusions that their studies had found no link between glyphosate and cancer in laboratory animals. In one instance, a fresh statistical analysis was inserted – effectively reversing the original finding of a study being reviewed by IARC. Reuters found 10 significant changes that were made between the draft chapter on animal studies and the published version of IARC’s glyphosate assessment. In each case, a negative conclusion about glyphosate leading to tumors was either deleted or replaced with a neutral or positive one. Reuters was unable to determine who made the changes. I’d support more evidence on the exposure assumptions and as a Maori stakeholder require further analysis particularly regarding Maori – i.e. how have exposure assumptions catered for typical under reporting/engagement with Maori. Is ethnicty even considered/reported. Maori like many indigenous people still connected to their environments need to know their food environments are safe and the cocktail of ‘acceptable levels’ they ingest higher amounts of than the general population are in full focus so these general exposure levels don’t invisibilise them to continued worse health than others. Dr Jacqueline Rowarth is on the side of scientific evidence.